A complex fusion of curved front face and arched opening is combined without a trace of the superior built-in deep cavity ventilation system. 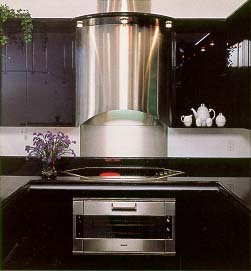 Each Cylindra hood is custom built to order. Specify exact height to flush top and bottom with the upper cabinet. 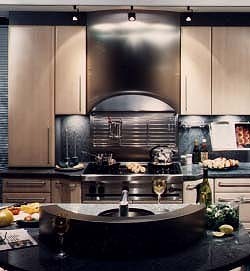 Or show a reveal at the cabinet side.